Apple recently launched their new 9.7 inch iPad which replaces the iPad Air 2 and now the guys from iFixit have taken the device apart to see what was inside. One the outside the design of the new 9.7 inch iPad is the same as the previous iPad Air 2, the device comes with some upgrades which include the Apple A9 processor. 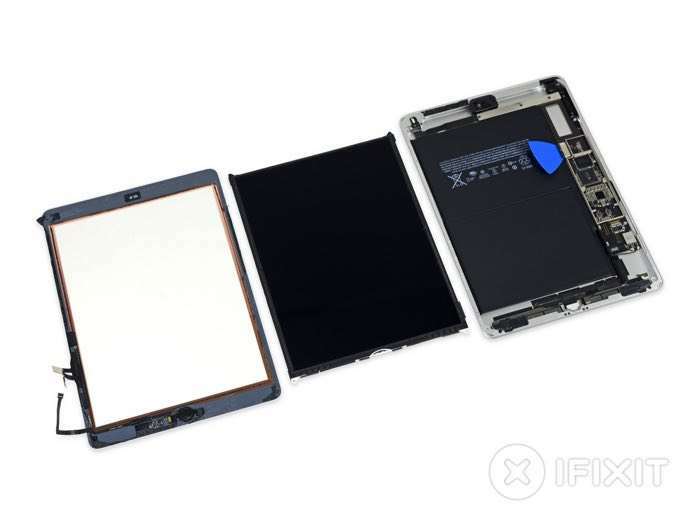 The guys over at iFixit compared the new 9.7 inch iPad to the previous iPad Air, the only difference between the two was that the iPad Air featured a larger WiFi module. The iFixit team score devices on how easy they are to repair on a scale of 1 to 10, 10 is very easy to repair and 1 is very difficult. As expected the new iPad only managed to score 2 out of 10 on the iFixit repair index, this means that the device is fairly difficult to repair.